Prom What You Need to Know! 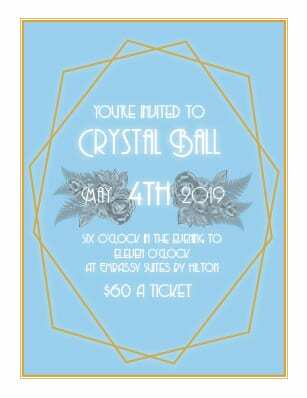 The Crystal Ball is May 4, 2019 from 6 pm to 11 pm at the Embassy Suites by Hilton. Prom tickets will be on sale for two weeks following Spring Break (April 1-12, 2019). To purchase prom tickets, please pick up a form from Mrs. Foster in the Assistant Principal’s office during the purchase timeframe. For groups attending prom together, ONE PERSON from the group (up to) 10 should pick up a form, which needs to be filled out by everyone in the group. For individuals attending alone or with only a few, leave a portion of the form blank and the prom committee will seat you. Money needs to be put in the envelope attached to the prom purchase form. Once ALL the money is collected, turn-in the completed form with money to Mrs. Foster. The earlier the completed forms are turned-in, the better chance of getting the group’s selected seating choice. Forms turned-in toward the end of the two weeks, are not guaranteed of getting their selected seating choice. Please remember that students who are inviting a guest (a non-MTHS student) to prom MUST complete a Date Request Form and submit it to the Assistant Principal’s office a week prior to prom. Date Request Form are also available in the Assistant Principal’s Office.